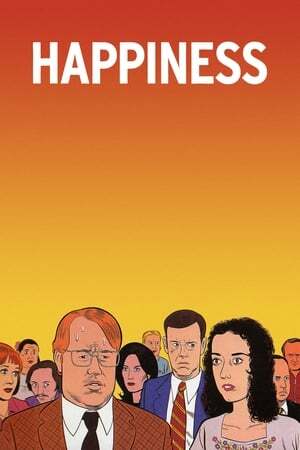 Happiness could be very well be renamed UNhappiness..
For some this movie could be just too much, and i don't recommend it to anyone too sensitive..
Black comedy has always the tendency to have a polarizing effect on the audience, and especially the subject matter that this one deals with. Pedophilia is a taboo subject and as a taboo it hasn't really been a target of black comedy, or any kind of comedy for that matter, other than in the mediums of the likes of South Park. Laughter is a healing vehicle, and as uncomfortable as I felt when I laughed what would normally feel like just the wrong place to laugh, I felt redeemed by the sadness, the coldness, the helplesness of the individuals portrayed in the movie. In the face of great hopelesness and sadness our greatest tool is our heart, and in our laughter we find our solace. Happiness goes through whole array of emotions that you don't normally go through in a cinematic experience. It splashes the worst in us right back at our face, but finds wistful compassion in the end. But I heed those with a weak stomach to not watch this.